How to Enable or Install Microsoft .NET Framework 4.5 on Server 2012, Windows 8.1, Windows 8, or Windows 7? How to enable / install Microsoft .NET Framework 4.5 on Server 2012, Windows 8.1, Windows 8 or Windows 7? SQL Server Express 2012 (Version: 11.0.2100) and Later. Pre-requisite installation for SQL Server 2012 or earlier. For first time installation of Microsoft .NET Framework 4.5 in preparation for installation of Microsoft SQL Server 2012 or earlier. This method requires the Server PC to be connected to the internet. Step 1: Press the Windows key on your keyboard, type Control Panel, and press Enter. Step 2: The Control Panel will be shown. Click Program. Step 3: In Program window, click Turn Window feature on or off under Programs and Feature section. Step 4: The Turn Windows features on or off window will be shown. 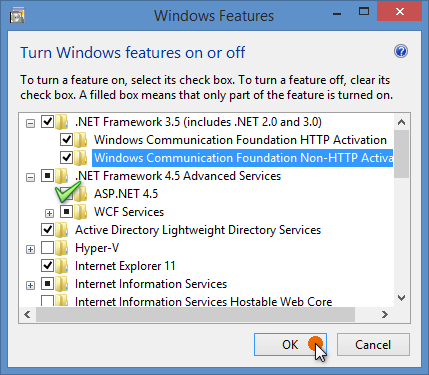 Check the ASP.NET 4.5 checkbox under .NET Framework 4.5 Advanced Services folder. Step 5: Windows Features will then search for the required files. 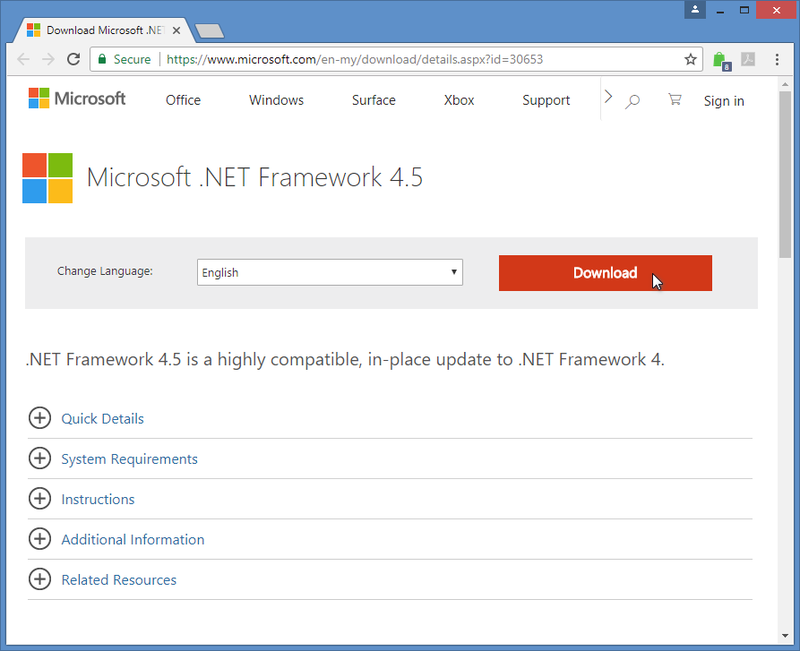 The Microsoft .NET Framework 4.5 setup files will then be available for download. 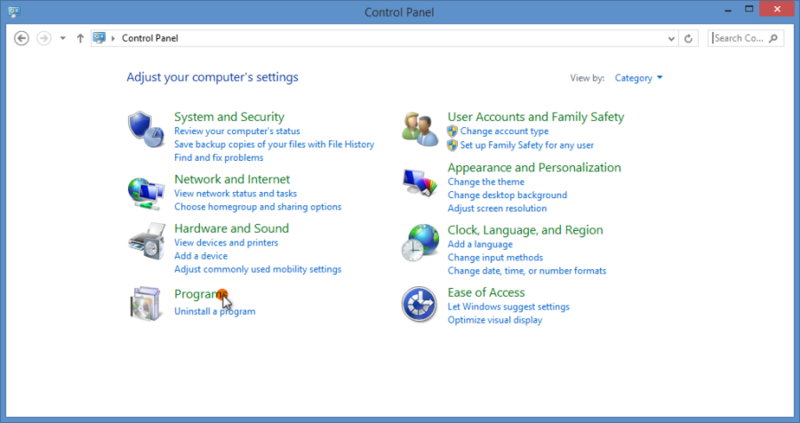 Step 6: After the files were downloaded, Windows will turn the feature on. 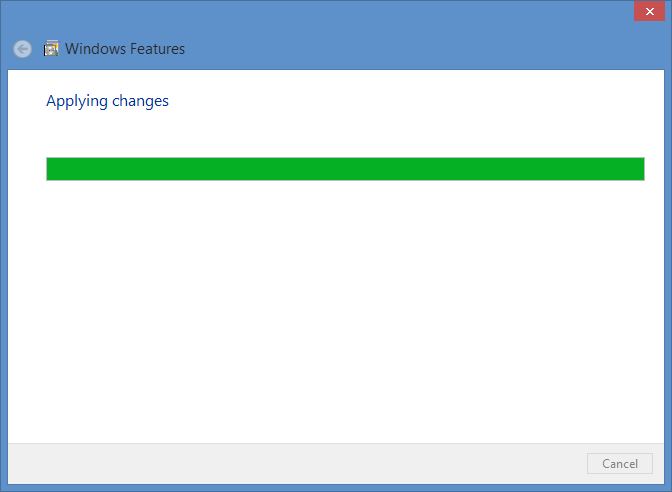 The Applying changes window will indicate the installation progress. 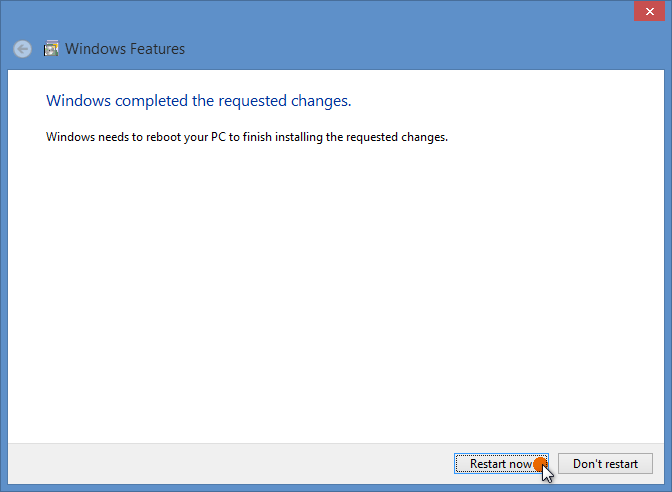 Step 7: The following window will be shown once Windows completed the requested changes. Click Restart Now to reboot Server PC to finish the installation process. Step 1: Go to Microsoft .NET Framework 4.5 download link and click Download to download the setup file. The download process requires internet connection. However, the download PC can be a different PC from the Server PC. The installation process does not require internet connection once the installer file is downloaded. Step 2: Locate the downloaded setup file and transfer the file to a USB drive to install the setup file on the Server PC which does not have internet connection. Step 3: At the Server PC, run the donnetfx45 setup.exe on your USB drive. Follow the installation wizard to complete the installation. Step 4: Restart your PC after completing the installation if prompted to do so. Download Link for Microsoft .NET Framework 4.6 for Server 2012 R2, Server 2016 and Windows 10.